Suffolk House Antiques | A small Charles I oak court cupboard. A SMALL CHARLES I OAK COURT CUPBOARD. 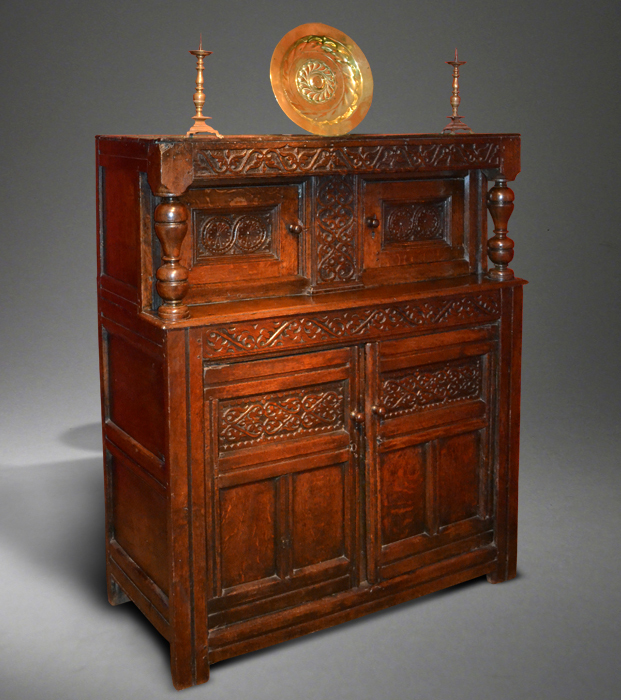 This small two part cupboard dating from about 1640 has just been acquired from a private collection in West Suffolk. The upper section has two panelled doors and well turned posts whilst below it has two large panelled doors and its original shelf. The carving, which is excellent throughout, is typical of work from Gloucestershire/Somerset. Lovely colour and patination. 49 inches wide x 19 1/2 inches deep x 58 inches high. SOLD.